San Jose Earthquakes – Page 2 – Seeing Red! RBNY rolls on, and Mark and Dan are back with a super-sizing Seeing Red! This week we have a San Jose recap, an LA preview, Red Bulls legend Juan Pablo Angel, Capital New York’s Howard Megdal and your calls and emails! New York drops two more points at home against a poor San Jose team. 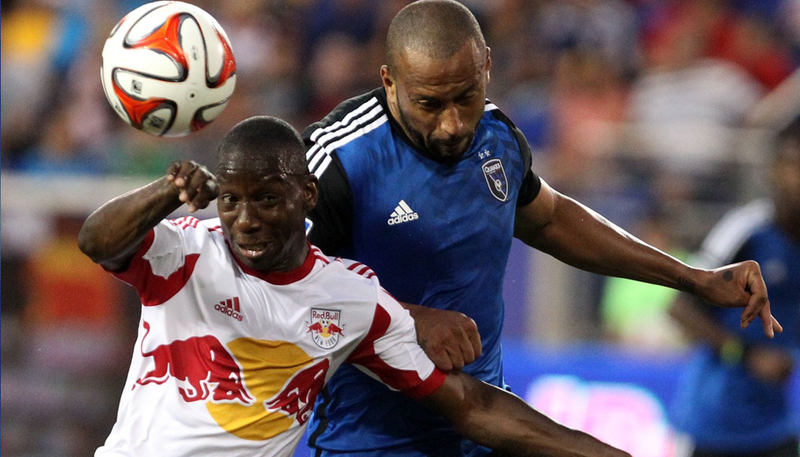 What can the Red Bulls do to turn it around? Marc de Grandpre, RBNY Head of Commerical Operations, joins the show to discuss marketing, ticket sales, and improving the Red Bull Arena experience in his first visit on Seeing Red. An Arsenal preview and your emails round out the show. New York and Roy Miller take the last 10 minutes off in San Jose, and Mark and Dave pick through the wreckage of a horrifying loss. The SR boys then preview the home opener v DC and chat with MF Dax McCarty before answering some amazing email. Listen at NASN! – Subscribe to Seeing Red via iTunes! – Listen to us through Stitcher !